Yesterday, NHL got braces put on. To help ease his anxiety, we got him a stuffed Mike Wazowski. 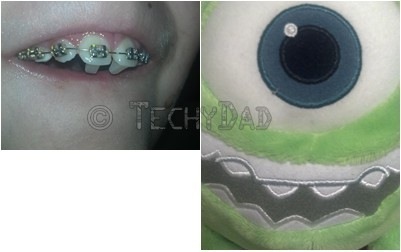 Both Mike and him have similar metallic dental work.